Gillies Hospital, in Epsom, is a Southern Cross hospital designed with a focus on short stay surgery and family-centred care, with four theatres, a purpose built day-stay facility and 16 inpatient beds with ensuite facilities. A centre of expertise for head and neck surgery and otolaryngology (ENT), it also offers oral and maxillofacial, gynaecological, plastic and reconstructive and general paediatric surgery, backed up by friendly, highly professional nursing teams and systems designed to benefit patients of all ages. Medical specialists on site have access to advanced technologies, some based on other Southern Cross hospitals in Auckland - such as a surgical robot, known as da Vinci®, at North Harbour. Here’s what you can expect from Gillies Hospital. We provide quality meals and special dietary requirements can be catered for on request. Day-stay patients can recover in La-Z-Boy chairs with light refreshments. Overnight rooms include ensuite, telephone and Sky TV channels. Our staff strive to provide quality, professional care to all our patients. We welcome comments from our patients and their families. Ward visiting hours are flexible, but we ask that visitors leave by 9pm. Are you going to have an operation at Gillies Hospital? After talking to young people your age we have discovered that you might have a few questions before having an operation. We have answered some of them for you here. 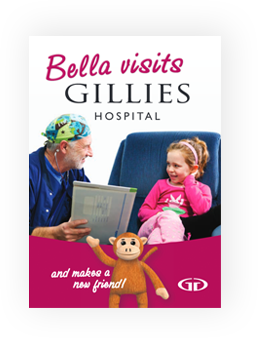 Gillies Hospital has long been recognised for leadership in otolaryngology head and neck services, with high volumes of surgery in these specialties and sub-specialties a characteristic strength within the hospital’s wider service offering. Gillies Hospital is a well-known centre of expertise within the region, renowned for a range of systems and environments designed to benefit patients of all ages, and with purpose built facilities supporting both short stay surgery and inpatient care. A range of specialist consulting facilities are located on the hospital site, including a group of specialists who have pioneered audiology. Third party health facilities vary across our network, and support services like diagnostic imaging may be available on site or in the area. The team at Gillies annually supports the great annual appeal day to provide opportunities for hearing impaired children. Gillies Hospital is proud to support the amazing work of The Hearing House. 160 Gillies Ave, Epsom Auckland.